I would like to give you a different perspective on the work undertaken on our Apprenticeship schemes – not as an apprentice, but as a manager. HMRC offers a range of apprenticeship programmes, ranging from Operational Delivery and Business Administration to more specific areas such as Legal and Finance. I’m Deborah and I have the privilege of managing and developing nine of our talented apprentices in the Digital Delivery Centre in Shipley where I am the Operations Manager. My team are undertaking different roles in the centre. We have Developers, a Software Tester, Business Analysts and Operational Support and all are fulfilling their roles whilst taking a Level 4 NVQ, and in one case a degree. Rather than having learning around a classroom-based environment they are fully involved in the work across the centre, which I ensure complements the qualification they are undertaking. Examples of this work go some way to their final marking, and they also submit assignments that show their understanding of their role. My team and I talk frequently about what is going well, what could be better, and then look at how that could be resolved. For me as their manager, it’s not just about passing their apprenticeship, but looking at future training, potential career paths with HMRC, and looking at how they wish to progress. It has been immensely rewarding watching them flourish in their roles and seeing first-hand how their apprenticeship has benefited both them and HMRC. 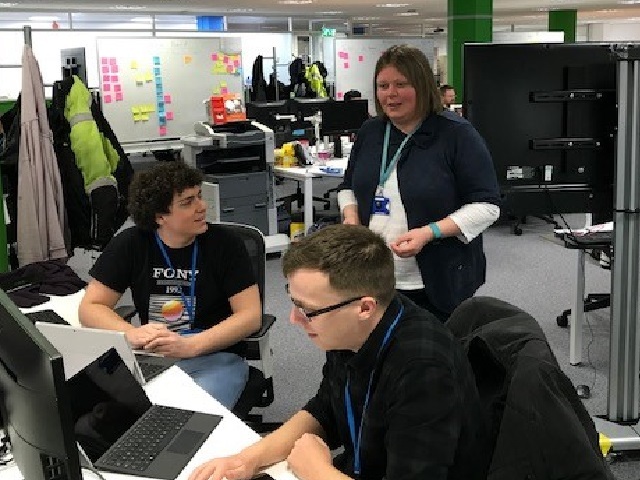 One of my team achieved promotion in her first 12 months, and another wrote a very well-received post on this blog about her first hackathon experience. One thing that is evident is the enthusiasm with which they approach their roles and their learning. When I have asked if their apprenticeship has been what they expected, the common response has been, ‘No, it has been better!’ Every one of my team enjoys coming into work, and they all gain a vast amount from collaborating with colleagues in an agile environment. 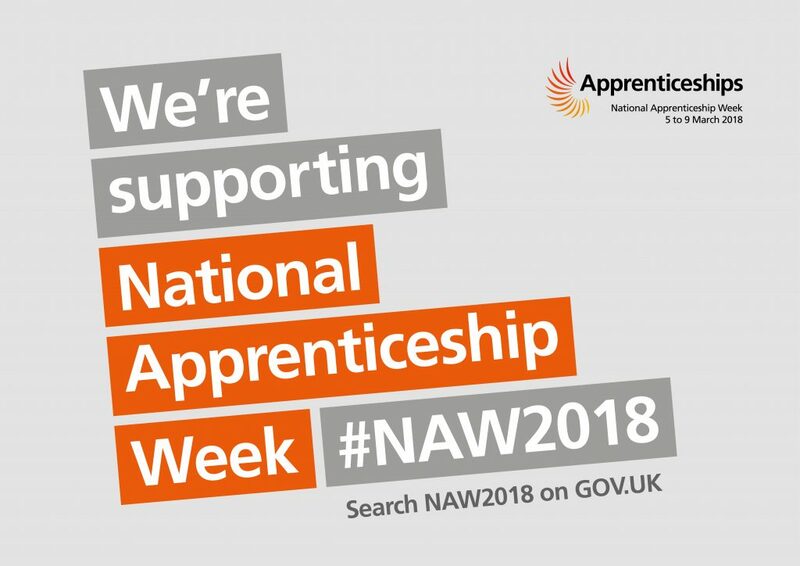 I think a common misconception about apprenticeships is that they are just for young school leavers, whereas they are actually for everyone who wants to learn – be that upskilling in their current role, or looking at taking the step towards a career that they have an aptitude or passion for. To understand my team’s journey further and to upskill myself, I have recently started a Level 3 Leadership and Management NVQ and I look forward to seeing where this takes me. The apprentices of today are our leaders of tomorrow. And who knows – we may have a future Chief Executive or Director in our midst! If you’re interested in applying for one of our apprenticeships schemes sign up for blog email alerts and follow us on Twitter @HMRCdigital to be the first to hear when we're advertising. The Civil Service fast track apprenticeship scheme is open for applications right now!